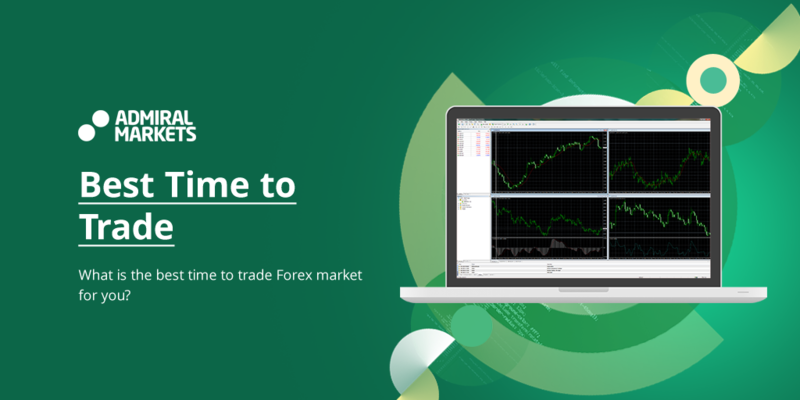 One of the reasons the Forex market attracts so many traders is the fact that it's open for trading 24 hours a day. In contrast to the stock market, Forex operates in regular business hours of the three business centers across different time zones. In fact, it is hardly possible to single out the best time to trade Forex because it would be different for every trader, depending on his or her personal choices, goals, and strategies. But the good news is that traders are free to trade as and when they want to, according to their individual preferences. different currency pairs – and your trading. Two major fundamental forces that have influence over the market – supply and demand – will be analyzed in order to outline the best times to trade Forex for you. it should be brought up here as the background topic. Liquidity means being able to find a counterparty for any transaction, and although it might be a problem in some of the financial markets, this is not true for Forex. available and ready to fill orders for traders. The only time when issues may arise is when brokers themselves are facing problem with order filling on the Interbank, for a gap is a gap for everyone. For instance, this was the case on 15 January 2015 in the time of the CHF move, when the Swiss National Bank lifted the euro peg. This being said, price gaps are really rare in Forex. It might take a beginner trader several months of trading before he or she witnesses a price gap – Forex is a real liquidity miracle in this context. large extend from pair to pair and at each time of the day. As long as most of the trading strategies do not perform well at times of increased volatility, every trader should make sure he or she understands the concept. As proven by many market tests, it's a good idea to set your trading schedule in agreement with volatility that is required for your strategy. This might affect major losses and profits even when all other things are the same. For instance, let's take an oscillator-based trading strategy. It is performing the best when applied at ranging markets and used to chase the bounce offs beyond key levels. Such strategy will not gain much at high-volatility level breakouts. So whenever you are creating or analyzing a strategy, think of the volatility level it will need for better performance because generally, volatile periods are not the best times of day to trade Forex. Price movements and volatility variations' dependence on instruments and days are explained by supply and demand. Any market, Forex or stock, is moved by the quantity of unfilled orders. The higher the volume of those unfilled orders and the bigger the number of them, the more volatile the market will be. The world's trading day starts officially in Australia, when the institutions of Sydney and New Zealand open at around 9 a.m. GMT+10. They mark the opening of the Asian-Pacific trading session. Tokyo joins in two hours with one of the largest volumes of Asian currency trading, followed by Singapore and Hong Kong trading markets. Thus, currency markets open for the week on Sunday nights with the Asian-Pacific sessions. This is the time when institutions as well as individual traders try to stabilise if there were relevant events during the weekend. This is the only time in the week when gaps are the most likely to occur regularly. So if you need gaps for your trading purposes, you might want to take this fact into consideration; otherwise, trading over the weekend is not the best time to trade Forex. The next to join the trading day session, at 7 a.m. GMT, are the London/European time zone markets that replace the Asian/Pacific session. German Frankfurt, which is the financial heart of Europe, begins one hour prior to London, but this is lag is rarely noticed. They are followed by the North-American trading session, which starts at 12 p.m. GMT with New York trades, followed by those in Los Angeles. Before the night falls in LA, the markets' activities will fade, marking the end of the trading day. Of course, there is some overlaying between the markets as they gradually replace one another; this will be explained later. Usually, morning hours are the time when institutional traders are conducting the most of their activities – this is the best time of day for them to trade Forex. Also, the beginning of the day is the time when monetary policy makers send out their messages and news are released. This causes the rise in the level of volatility. currencies, so if you need volatility for your trading strategy, then the best times of day to trade Forex for you is when the bigger players make their moves. Thus, the London session would be the most volatile time of day for the European currencies and pairs that include them, i.e. EUR, GBP, and CHF. Similarly, currencies of the countries from the Asia-Pacific will be traded most actively during the Asian-Pacific session. They include JPY, AUD, NZD, and also SGD and HKD, to a lesser extent. Finally, USD, CAD, and MXN have the highest volatility during the North-American session. Los Angeles, this overlap has the last trading activities in the day. Another important thing to remember is that most of the currency market volume is generated from the Forex spot market, the most traded by retail traders. The spot market is open 24/6, while the futures market is linked to physical exchange centers – the Chicago Mercantile Exchange and its few partners in the US and abroad (they are called introducing brokers). This is very important because it emphasizes the idea that all pairs can only be traded against the US dollar in the future market. In order to measure average volatility for a given currency pair at a given time, traders use supporting software like Autochartist, offered by Admiral Markets. You need to conduct some research and make sure that your strategy does not suffer from volatility, but appreciates it. This is the rule for finding the best times to trade Forex. The Forex market is open 24 hours a day, but it does not mean you have to be watching it all the time. An alert and clear mind is what's needed to succeed in Forex. Make sure that the strategies you elaborated allow you trading accordingly, without giving up your actual routines.